The new Mercedes-Benz C-class has been revealed officially. Mercedes-Benz has given its all-new, fourth-generation C-class saloon a dramatic new look inside and out, a 100kg weight reduction and a more efficient engine line-up. The new model, Mercedes' global best-seller, is seen here officially for the first time ahead of its public debut at the Detroit motor show in January and a planned arrival in global showrooms in June 2014. 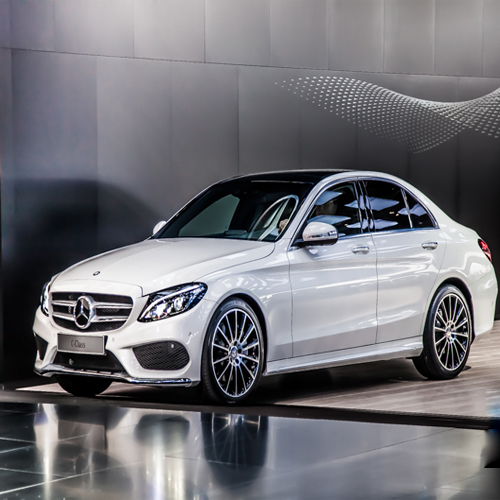 Other features of the new W205-generation C-class include the option of air suspension (another segment first), a more agile chassis, greater use of aluminium in its structure and a whole suite of advanced driver-assistance systems shared with the soon-to-be launched new S-class sedan. Underpinning the C-class is the new lightweight modular rear-drive MRA (Mercedes Rear-drive Architecture) platform that will underpin all core rear-drive models from the C-class and above,including saloons and SUVs. A Fragile heart that beats.